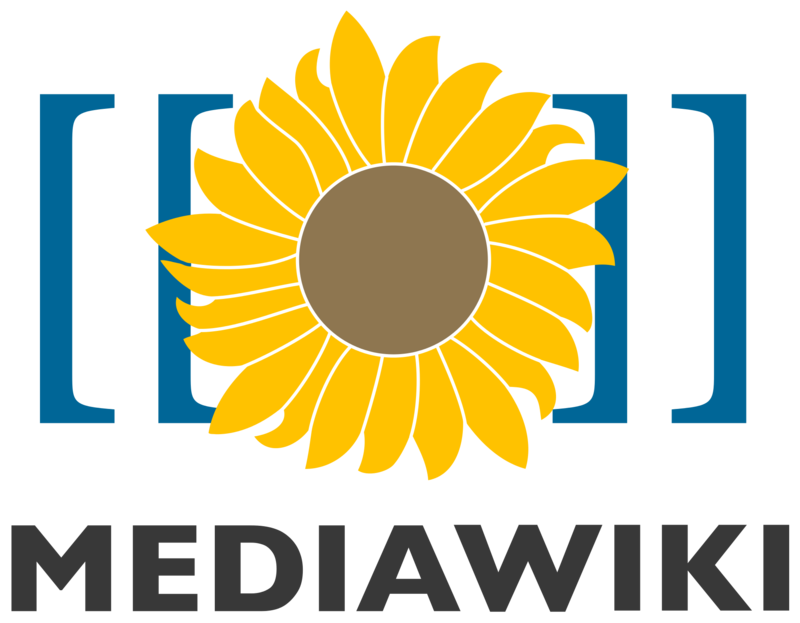 MediaWiki is free and open-source wiki software and it is the same software used by Wikipedia. It is fully dynamic and runs on a LAMP stack, taking advantage of the PHP language and the MySQL database backend. With easy installation and configuration, MediaWiki is a good solution when you need a familiar, full-featured dynamic wiki engine. Only requirements are to have user with sudo privileges (root is fine) and Apache, PHP and MySQL installed on your VPS. To begin, download the latest release of MediaWiki. At this moment (19th May, 2017) latest version is 1.28.2. You can find the download location for the latest release by visiting the MediaWiki homepage. Move the uncompressed mediawiki-1.28.2 directory into your html/ folder, renaming the directory to mediawiki/ in the process. The name of the directory beneath the html/ will determine the path to your wiki. In this case, the wiki would be located at mediawiki/. On your broweser go to your_domain/mediawiki and click the “Please set up the wiki first” link. The setup page contains everything you need to complete the installation. Now proceed with configuration, enter such information as database name, username, and password and so on. 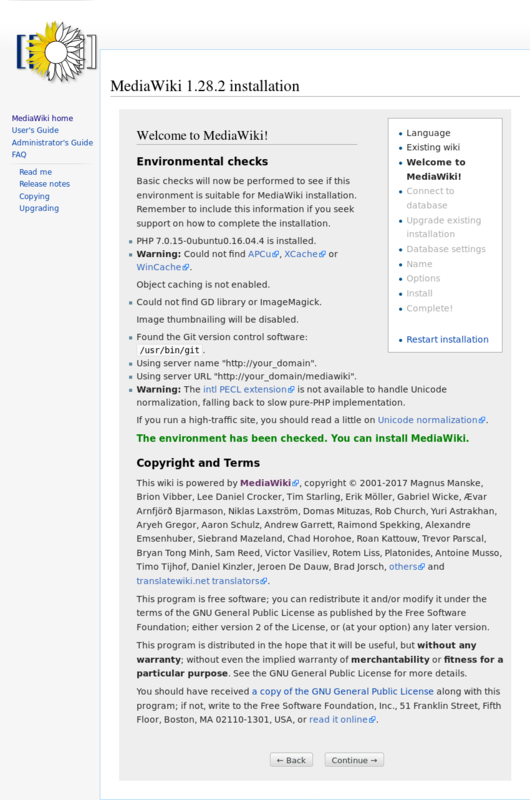 MediaWiki is now successfully installed and configured! Now you have powerful and at same time easy to use wiki engine.